We Love NY? I Love Angkor Wat! The July 4th weekend was lovely here in Los Angeles: the leftover "June Gloom" kept the temps under 80 and made the evenings cool. Back East where I grew up it's been just this side of, well, hell. Triple digit temps with humidity, and notices from the powers that be that due to low-hanging ozone one should avoid breathing when outdoors. This is weather I moved away from. One of the ways to deal with the heat has always been to keep some light, refreshing scent in the icebox to spritz or splash on when you are at the point where the heat makes you want to mainline iced vodka or commit seppuku with a sharpened popsicle. Back when it was good, 4711 was a candidate. Eau d'Hadrien or Eau Sauvage is one as well. Amouage Reflection for Men might deserve some space in the Frigidare as well. According to Marina it was created in 2007 and the scent has notes of red pepper berries, rosemary, bitter orange leaves, orris, jasmine, neroli, cedarwood, sandalwood, patchouli and vetiver and compares it to "sun rays playing on the surface of the ocean". It does have a beachy, summery vibe to it without being literally aquatic; the sharp vetiver is balanced by the softly sensual woods in the drydown while the rosemary and orange nicely balance the neroli. The fly in the ointment is of course the price: $225 definitely takes this one out of the "splash away" category that something less expensive might engender. But then again this might be a bit strong to be thrown all over the place. 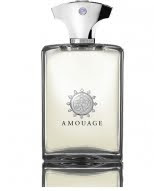 Amouage still hasn't convinced me that $225 for 50ML is a great idea. This one might have gotten me the closest. Not quite there, but close. What's your default icebox refresher, splash on or swallowed? I'm leaning towards Guerlain Vetiver and an icy G&T these days..
At Amazon and Luckyscent. I was given a sample by a generous friend. I'm digging the new Penhaligan's Orange Blossom. I would serve it with an Orange Julius! Although not loved by many perfumistas/os, Malle's OUTRAGEOUS lives in my fridge just to keep me calm and happy when So Cal finally heats up. What to serve it with?.....an Apple Martini, of course. Nice post! Keep writing these interesting stuffs..i like the people who commented..too! I love both the scent and the suggested accompaniment! I wasn't wild about that one but I can certainly see it as a summer tonic! This is fabulous I am sure, since it's Amouage, but there are plenty of more affordable ones. When it gets just too hot for anything else I will reach for Jacomo Silences, which is a poor man's Vent Vert in price but really, really good. I also enjoy lavender hydrosol - it's the end product of steam distillation of lavender, so it's mostly pure water, and you can even spray it on your face. It's for when you just can't stand the idea of perfume but you want a nice cool smell. I also want that Chanel EDC, but not at their prices/volume either. It would be great if they would give us a 50 ml size. Where you you get lavender hydrosol? I'd love to use that as a refresher for both body and bedsheets! I believe that SIP serves hydrosol to drink (I think that's it) and it is delicious. Like more watery water. I like 4711 (still), Mugler Cologne, CdG Vetiverru, Jo Malone White Jasmine and Mint, and am warming up (heh) to Fresh Hesperides. I don't drink booze but love a limeade or Perrier (how retro of me). Or limeade with Perrier. Of course, since I live in San Francisco, I can pretty much wear Black Cashmere well into August. I don't though - I pretend it's summer and wear the light stuff. Flora, according to my Chanel SA, the Chanel EDC will be available in a smaller bottle in September. Latest favs for hot weather - Eau de Sisley #3 (discounters chop off about $65 US from the normal $165 price tag, so not too bad for 100mls), Mandragore, Nuit de Tubereuse, and the current Chanel No 19 EDT! Yeah, I haven't found any must-have scents at that $200+ price tag either. Amouage Dia is beautiful, but I don't see a bottle in my future. Lusting after some of those 4oz Guerlain $225 bee bottles, though. Latest high $ purchase was a large bottle of NdT at $155. Yikes. One of the things I envy about SF is that weather- really! I love fog! I think I hit the wall at $150 or so. Although I still lust after some Fermez Tes Yeux and that's what $600? Not that I'll ever spend that.. Lately, the chilled summer smells have been L'Artisan's Fleur d'Oranger 2007 and The pour un Ete. They're not the butchest, but damn do they smell good! For drinkability, I prefer the fragrant, bitter goodness of an India Pale Ale. Great description of this wonderful perfume! If you are looking for better prices and finding perfume that suites you especially consider going to www.mybestperfume.com! They have every perfume that you can dream of at wonderful prices! I happen to absolutely love the smell of this one! I almost always get compliments when I wear it work or just out for fun!